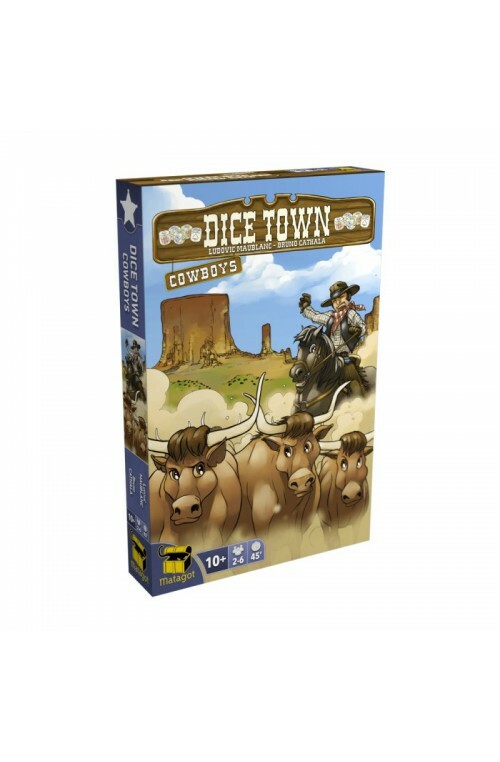 With Dice Town: Cowboys, the second expansion for Dice Town, in addition to watching your wealth, you now have to watch your herds! 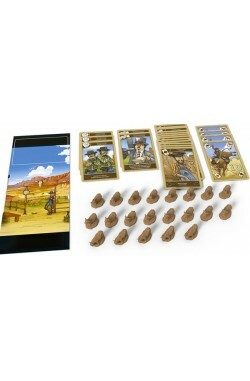 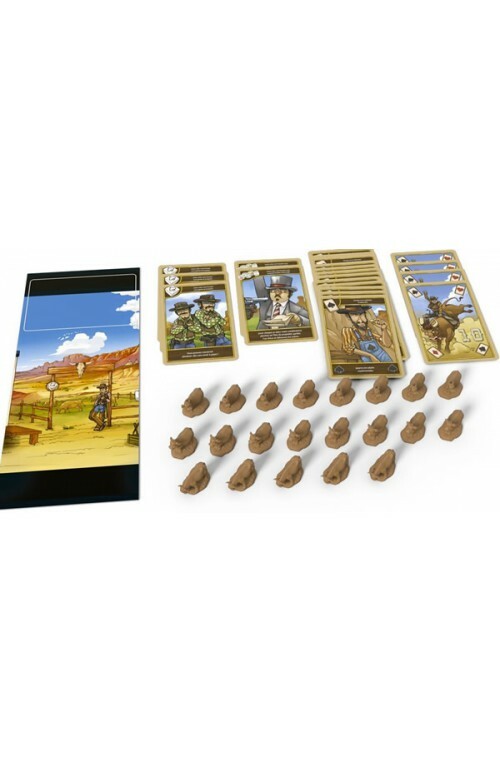 This mini-expansion — which consists of a game board, three cards, and fifteen cow miniatures — gives players a new way to use the Aces that they roll. 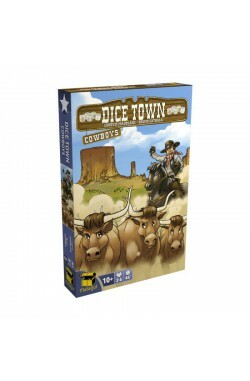 Now you can retrieve cows from the field and score for your herd, but if you leave them outdoors, you'll need to keep an eye out for opponents who will try to steal them from you!